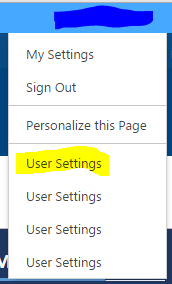 Recently when we are migrating site pages using CMP files, we didnot set this property : settings.IncludeUserCustomAction = SPIncludeUserCustomAction.None; because of which it create duplicated custom actions. Now even if we retract the solution from site, still these custom actions are coming. How to remove this? Still these duplicates are coming(below snapshot). I have resolved it!! As powershell did not help me. I have nothing left other than manually digging database. Not the answer you're looking for? Browse other questions tagged deployment feature custom-actions duplicate content-migration or ask your own question.